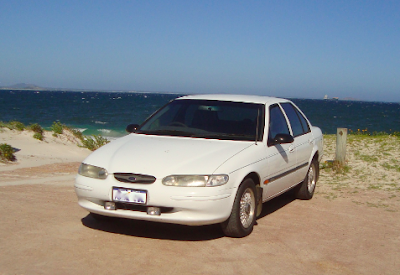 I’ve recently bought a used car in Australia, and I love it. Having discovered just how complicated the process of buying a car is though, I thought I would share some information on how to go about it. To find out what is for sale, check the classified section of the local papers and local social media groups. IGA Supermarkets often have community noticeboards outside, so check these too. Once you have made contact with the seller make sure you take the vehicle for a test drive. REV checks protect you from buying a stolen vehicle or one that has costs listed against it, such as outstanding fines, which once you have bought the car, become your responsibility. REV checks are free and just take a quick phonecall (to 1300 304 024) but it is wise to pay $5 to get hold of a certificate proving the result of your REV check. On the phone call you will need to provide the car’s licence plate, engine and VIN number, all of which a legitimate seller should provide you with. Most garages will happily take a look at used cars and give you a report of their findings for under $100. If like me, your mechanical knowledge of the inner workings of a car is limited, it can be hard to tell if a car has a serious (read potentially fatal or at best expensive) problem. So to my mind at least, this is money well spent. Once you have agreed to buy a used car you need to sit down with the seller and complete a ‘Vehicle Licence Transfer’ form or ‘Notification of Change of Ownership’ form, which you must both sign. You must then submit it to the states Driver and Vehicle Services Department within a certain timeframe (usually 7-14 days). In Australia registration is a mandatory part of vehicle ownership in every state. The exact rules differ for each state, but registering the car basically records you as the owner of the vehicle and is also the Australian way of collecting road tax. Make sure you get a copy of the current Registration papers from the seller and head to your local government office with your wallet. The good news is that you can pay for 12 months or for just 6 months at a time. In Western Australia and South Australia an insurance covering third party injury is also included.